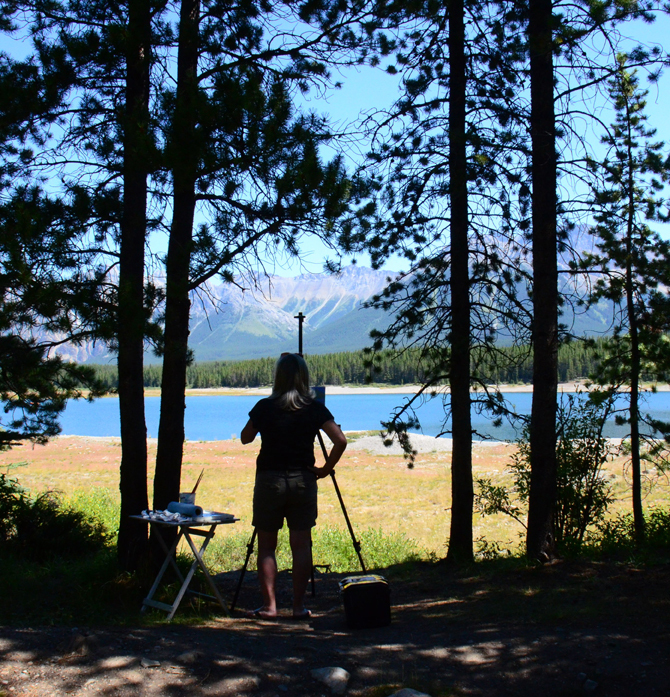 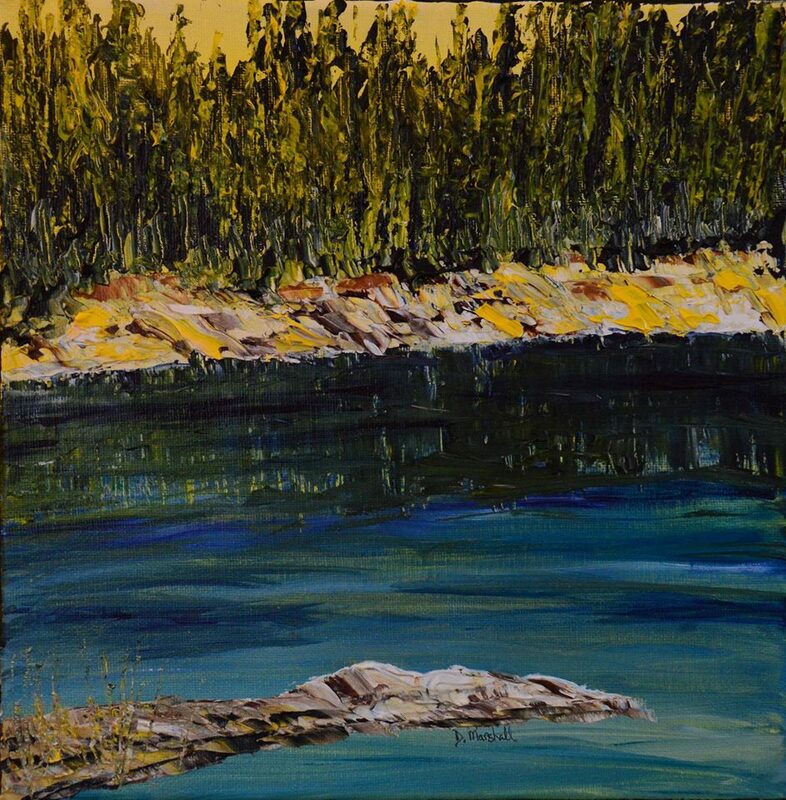 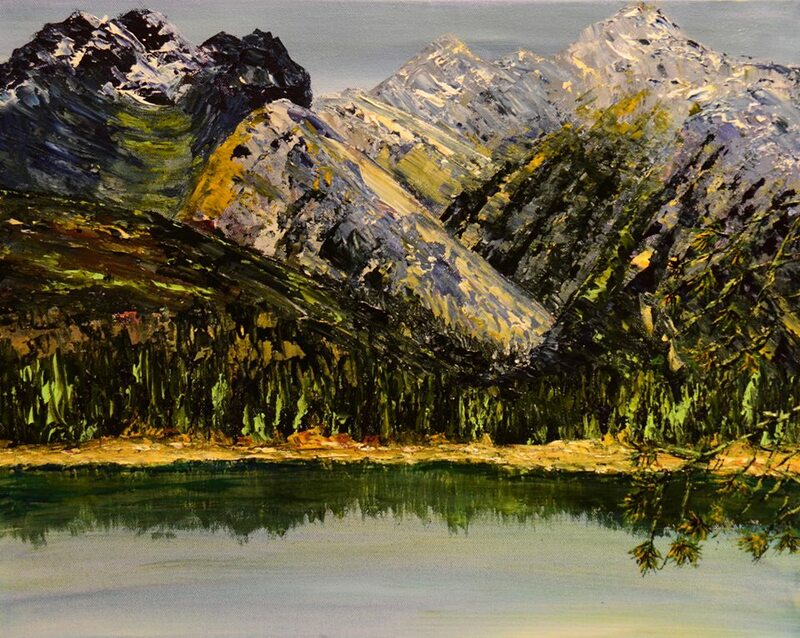 Since moving to Calgary from Southern Ontario my art has been inspired by the rugged landscapes of the West. 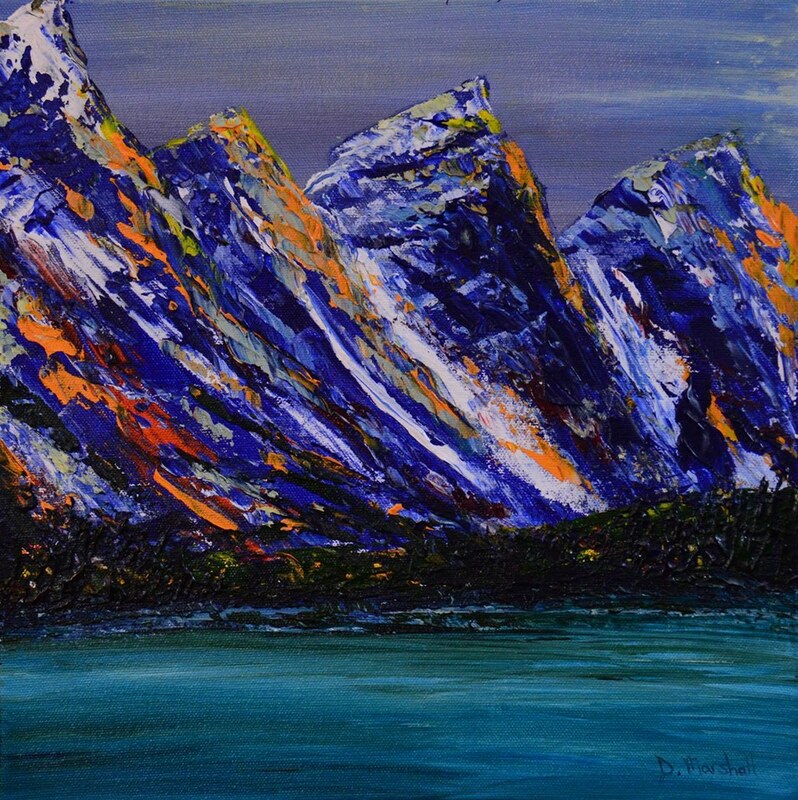 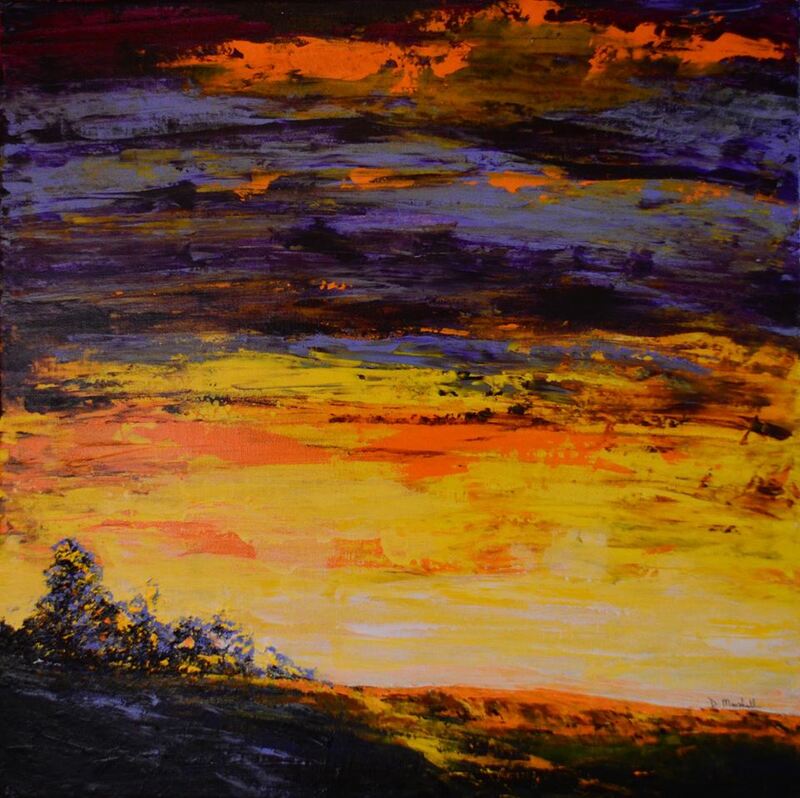 The combination of palette knife and acrylics allow me to use bold colour and deep textures in my work which compliment the incredible vistas of this land. 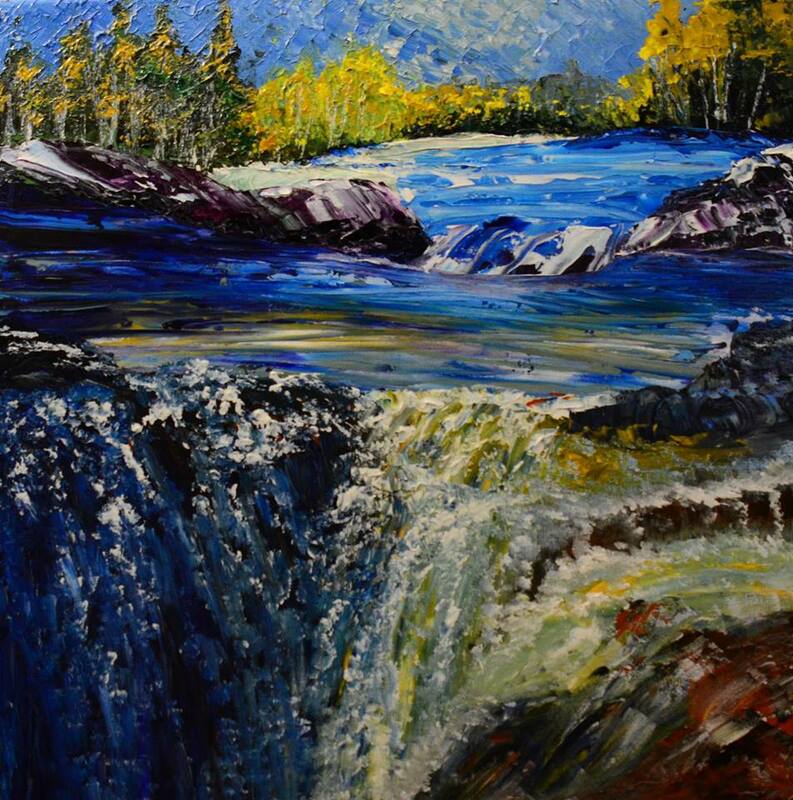 Born in Deep River, Northern Ontario, the days of my youth instilled in me a love of nature and gratitude for the beauty that surrounds us. 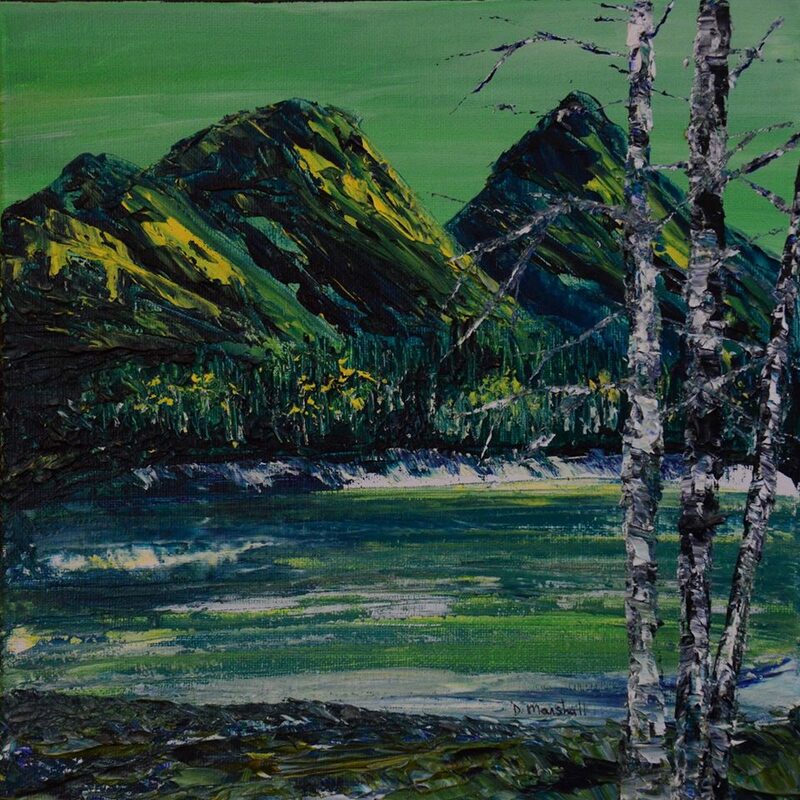 Though I love the energy of a city I am still at my most peaceful outside with my palette knife and a mountain or river in my sights. 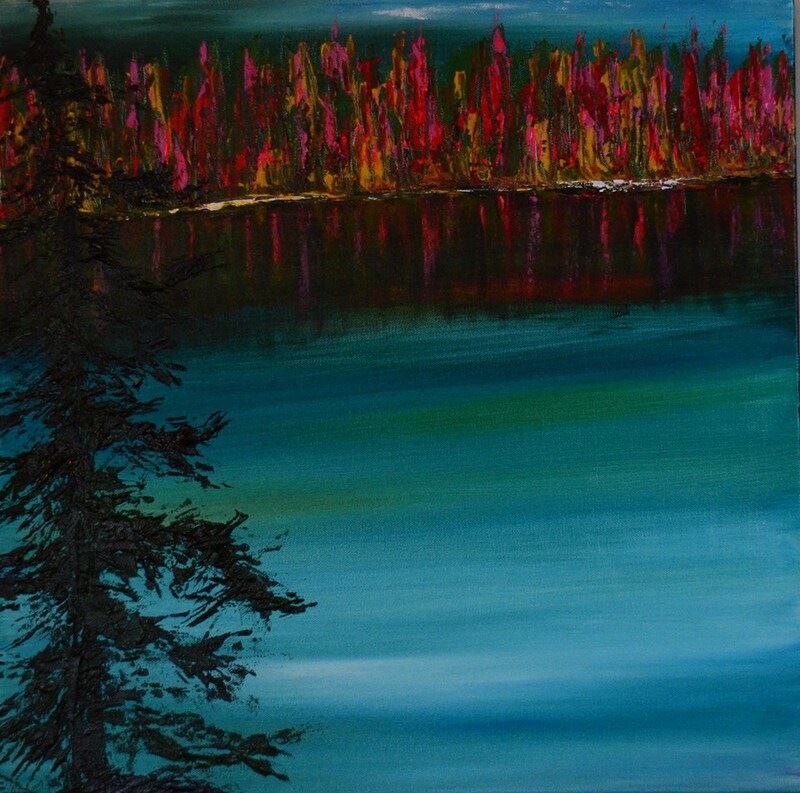 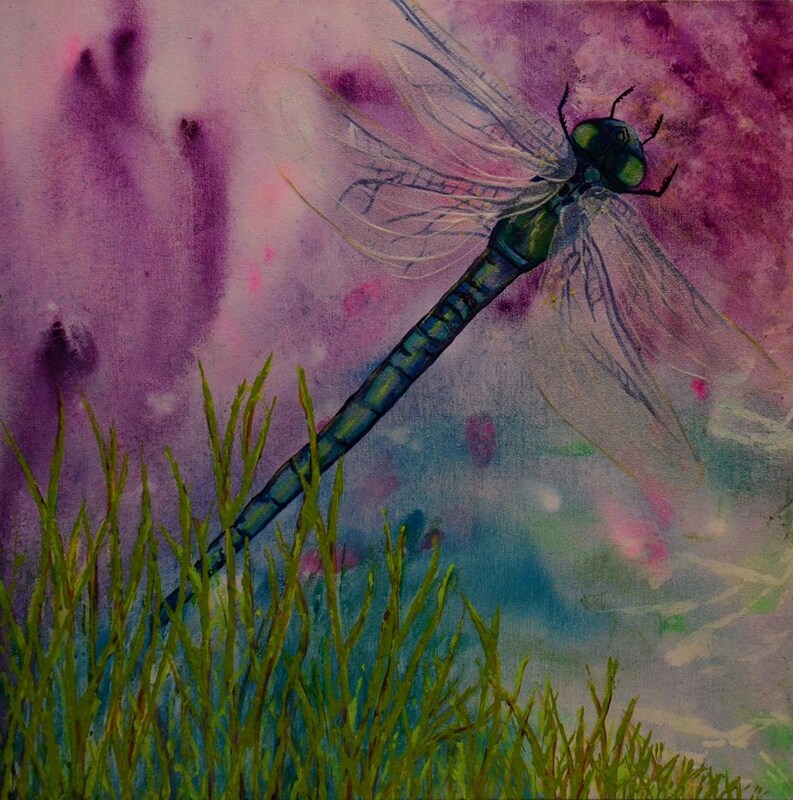 I have loved creativity in all forms from a young age and have endeavoured to keep art in my soul throughout my life. 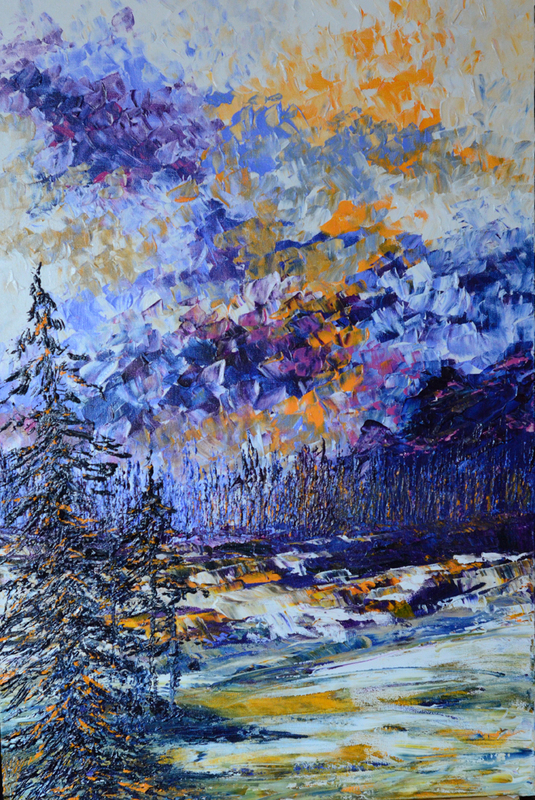 Inspired by an artist friend I took up the palette knife and acrylic paint and found my new passion for the colours and textures I can achieve with this medium. 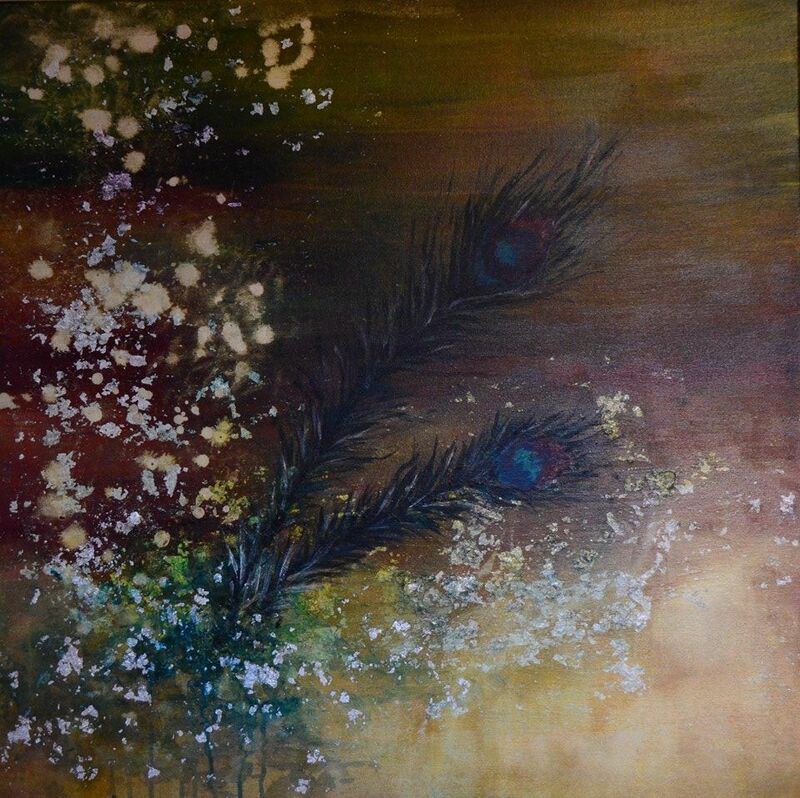 Since my retirement from the working world I have been able to concentrate on my art and explore new methods of creating pieces that excite and motivate me. 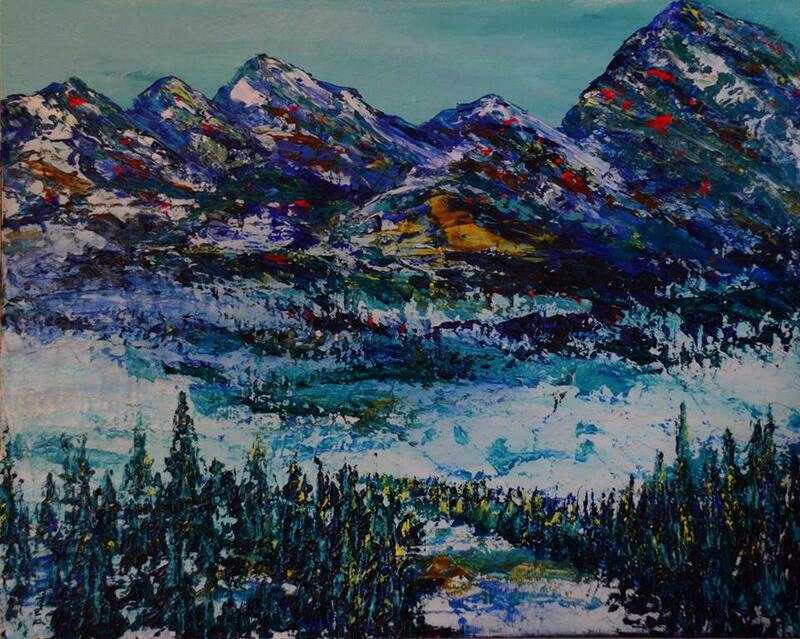 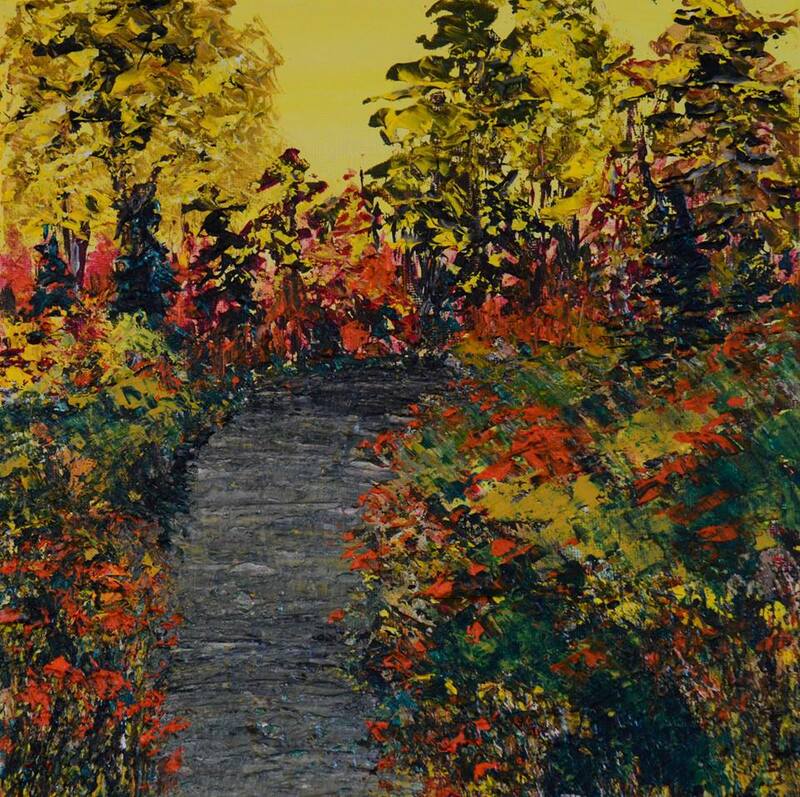 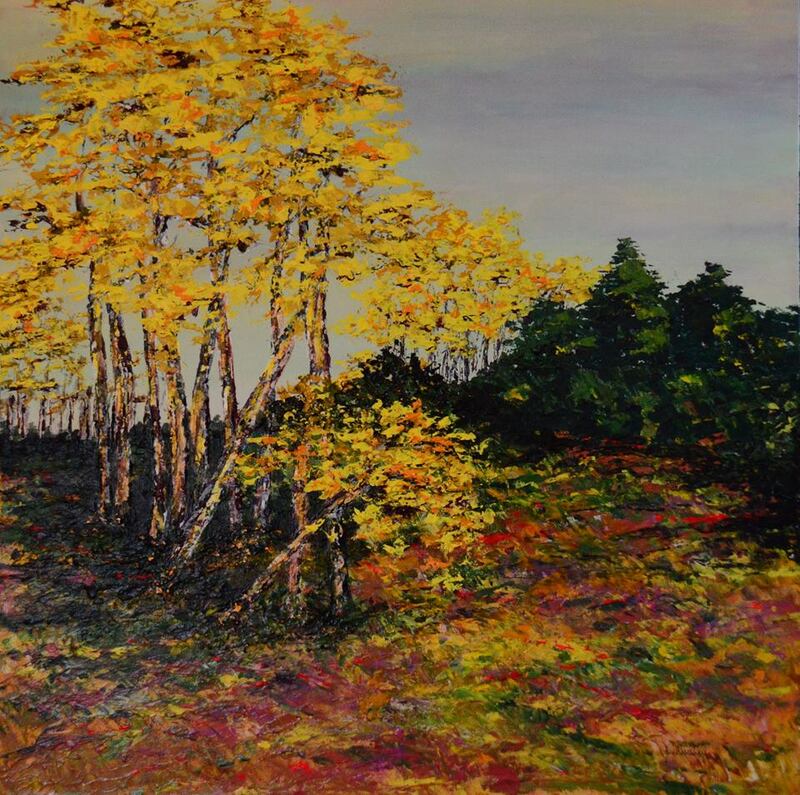 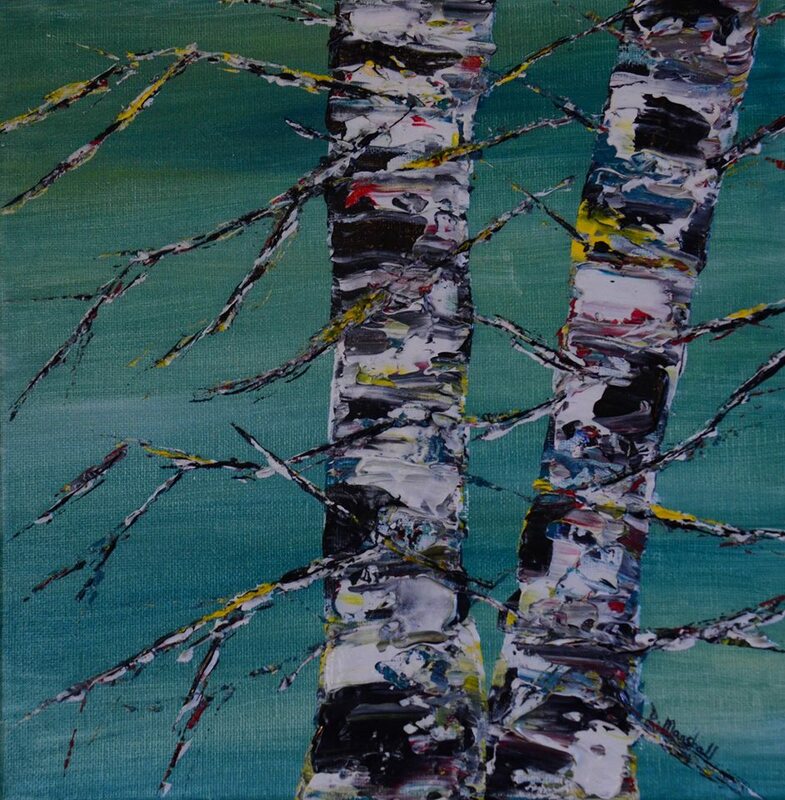 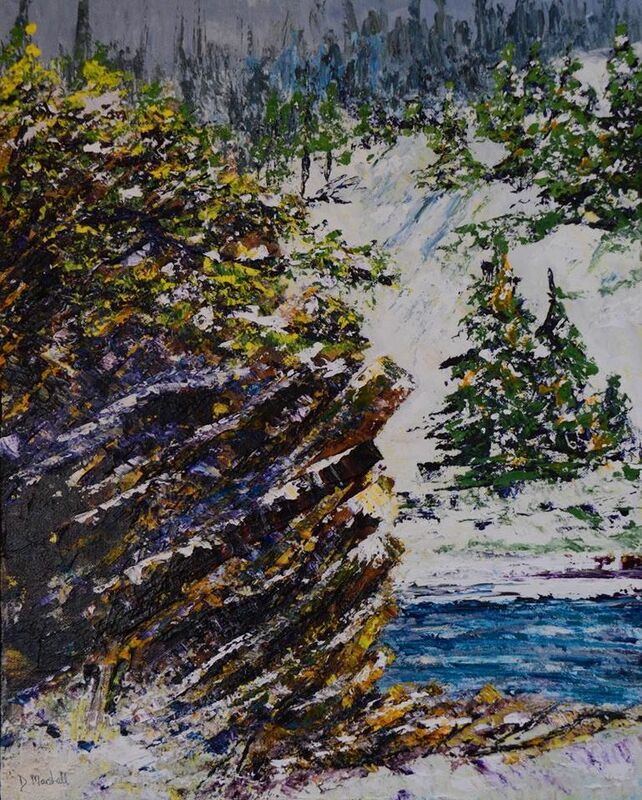 I have stayed true to my palette knife landscapes but am experimenting with mixed media pieces as well.